An estimated 10 million immigrants, or a quarter of the population, call California home. Immigrants are vital to California’s state and local economies and communities, providing an estimated 37 percent of the state’s labor force; they are also an important part of the remarkable diversity that is a hallmark of California. At the Rosenberg Foundation, we believe that California’s future relies on fully engaged and empowered immigrant communities. We have worked with our grant partners to ensure that immigrant populations are part of the civic and economic life of our state by supporting immigration reform, bolstering grassroots advocacy, enforcing voting and language rights, and strengthening the communications capacity of immigrant rights advocates. We also are focused on building the capacity of California’s “Dream” movement to engage in immigrant related policy issues in California both for the short- as well as long-term. California has been described as the epicenter for the Dream movement with a quarter of the nation’s Dreamers (over 500,000) and a majority of its leadership living in the state. California’s Dreamers have accomplished much with limited resources, including the successful enactment in 2011 of the California Dream Act, which provides state public funding for student grants and loans. Dream youth represent the future of the immigrant rights movement in California and are a critical part of the immigrant rights advocacy infrastructure in the state. California’s Dreamers have already established themselves as visionaries; our job is to continue to support them in their pioneering work. The Rosenberg Foundation also has long supported work at the intersection of economic justice and immigrant rights. Supporting California’s farmworkers has been a priority of the Rosenberg Foundation since the 1950s, when its work in the area was launched by a grant to a citizen’s group near Fresno to establish seasonal clinics for the children of farmworkers. 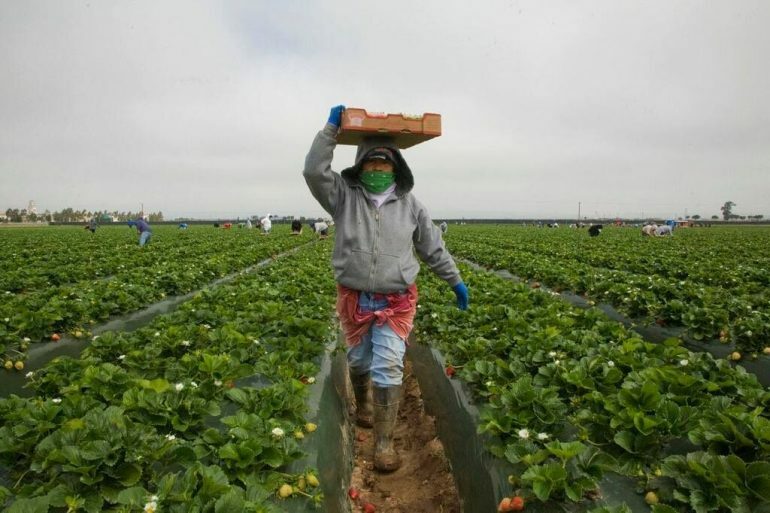 Given that California agriculture is now a $43 billion dollar industry that in turn generates at least $100 billion in related economic activity, and that the vast majority of the farmworkers in the state are immigrants, fighting for farmworkers’ civil and human rights is both an economic and moral imperative. Discrimination in labor laws, low wages, and poor working, health and and job safety conditions are ongoing issues for many of California’s farmworkers, as are broken immigration laws that fracture families and have a significant negative effect on the U.S. economy; at the Rosenberg Foundation, we regard these issues as matters of civil and human rights. The Foundation invests in strategies that support pathways to legalization for California farmworkers who are undocumented, that strengthen labor protections for agricultural guest workers, and challenge unfair wages and unsafe, exploitative working conditions. We also invest in efforts to improve wages and conditions for day laborers; those who work in the garment, restaurant, and car wash industries; and domestic workers. Strategies we support include labor organizing, impact litigation, and policy advocacy.